Every year, more than 795,000 people in the U.S. have a stroke. During the most common type of stroke, ischemic stroke, a blood clot blocks blood flow to the brain, which can cause disability or death. But several recent studies have found that a new device that removes these blood clots can significantly improve stroke outcomes. The device, called SOLITAIRE, is a new type of clot remover. It uses a micro-catheter to place a self-expanding tube into the blocked artery. The tube compresses and traps the clot, which is removed as the catheter is withdrawn. The first study of the device in 2012 compared SOLITAIRE to an older device, the MERCI Retriever, a corkscrew-type clot remover. That study found that the use of SOLITAIRE caused less post-procedure bleeding in the brain and resulted in better mental and motor function for patients 90 days after treatment. Three new studies were stopped early because the results showed a clear benefit to using SOLITAIRE for certain patients. In one randomized trial, 316 patients who had suffered an ischemic stroke no more than 12 hours prior received either standard treatment that could include a drug to break up clots, anticoagulants, and medications to lower blood pressure, or standard treatment plus SOLITAIRE. After 90 days, 53 percent those who had standard treatment and clot removal were functionally independent, meaning they needed little or no help with daily activities, compared to only 29.3 percent of those who received only standard treatment. Mortality was also significantly lower, with the SOLITAIRE group having a 10.4 percent mortality rate compared to 19 percent in the other group. Two additional studies also found that the use of this clot removing device improved outcomes. One small randomized trial compared a drug that breaks up clots and the use of that drug plus device. The researchers looked at the restoration of blood flow to the brain and neurologic improvement, for example the ability to speak. Three days after treatment, 80 percent of the patients who had both treatments had neurologic improvement compared to 37 percent in the other group. 90 days after treatment, 71 percent of those who were treated with the clot removing device had achieved functional independence, while only 40 percent of patients in the other group reached this milestone. 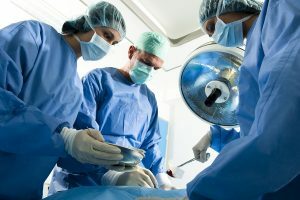 The second trial also found that more than 60 percent of patients treated with both the clot dissolving drug and the device were able to do daily activities with little or no help. When you have a stroke, every moment between the appearance of symptoms and the start of treatment counts. A health advisor can help make sure you have rapid access to the top specialists and the most effective, evidence-supported treatment options available. An advisor can also help you take proactive steps to lower your risk of stroke and other serious cardiovascular diseases by connecting you with physicians and experts in nutrition, fitness and stress management.